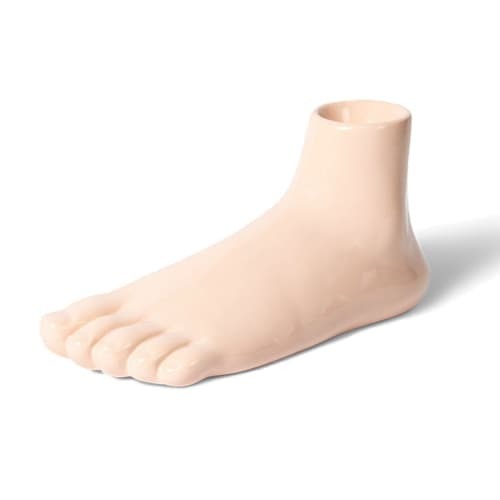 This porcelain ‘Curious Foot-Shaped Pedestal’ perfectly captures David Shrigley’s bizarre sense of wit. Shrigley is a contemporary artist that is best known for his humorous illustrations but this foot pedestal is also a multi functional artwork too! -Uses include; Egg Cup, Pinch Bowl, Air Plant Pot & Foot Model!